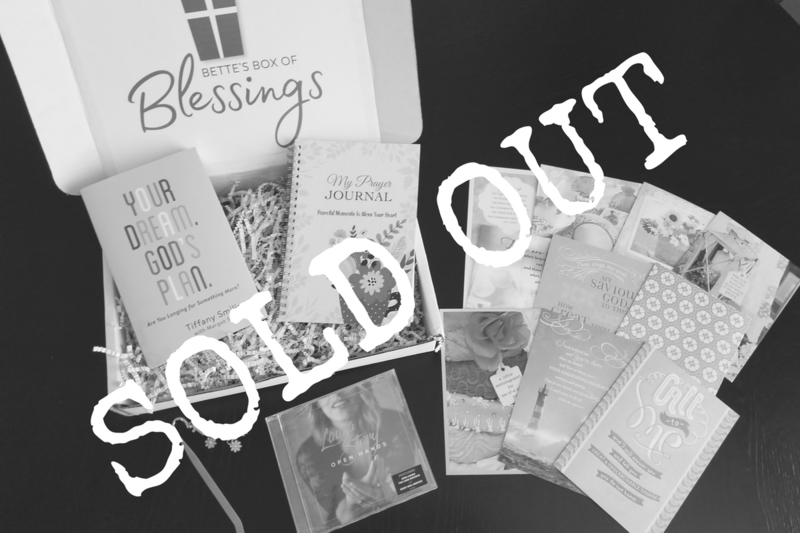 The theme for this box – God’s Plan - comes from Jeremiah 29:11-13, where God spoke through Jeremiah to the Israelites who were in exile: “For I know the plans I have for you,” declares the LORD, “plans to prosper you and not to harm you, plans to give you hope and a future. Then you will call on me and come and pray to me, and I will listen to you. You will seek me and find me when you seek me with all your heart.” This Box includes: “Your Dream, God’s Plan” by Tiffany Smiling, My Prayer Journal - Peaceful Moments to Bless Your Heart, Woman of Worth PageMarker, Laura Story’s Open Hands CD, and a pack of FairHope Notes Greeting Cards. This Box has a retail value of $78.64!! What a blessing!